1. 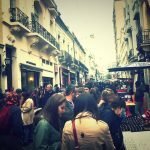 The San Telmo Market/Feria de San Telmo: This market is open every Sunday from 10am-5pm and is in Plaza Dorrego and continues for more blocks than I could count. There are endless vendors selling antiques, trinkets, clothing, maté cups, art, tango and delicious food. 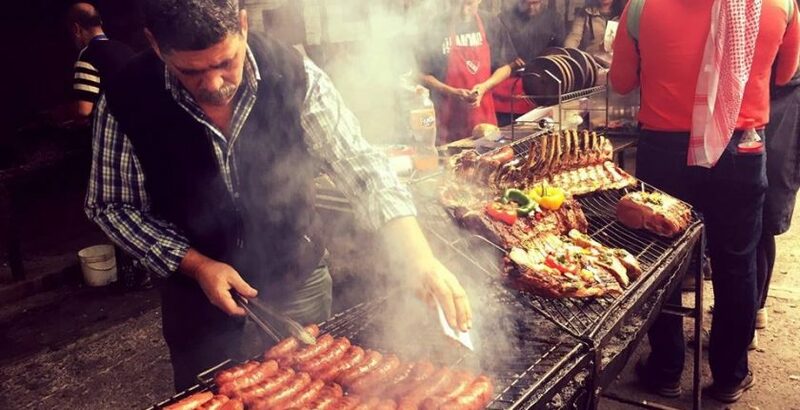 Bring your pesos to buy souvenirs, maté and the must have choripan con chimichurri. 2. La Recoleta Cemetery/Cementerio de la Recoleta: This eerily beautiful cemetery is located at 1760 Junin in Recoleta. This is a definite must see for anyone visiting Buenos Aires who loves architecture and history. There are over 6.400 statues, sarcophagi, coffins and crypts to commemorate some of Argentina’s most celebrated people including Eva Peron herself. 3. 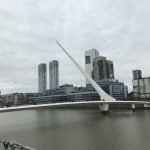 Puerto Madero: If you love modern culture than Puerto Madero is for you, but don’t worry there is a lot of culture there as well. You can walk across and take a picture of Puente de la Mujer/Women’s Bridge, and then head to one of the delicious restaurants that line the boardwalk. Nearby are trails around several lakes at the wildlife-rich Costanera Sur Ecological Reserve. 4. 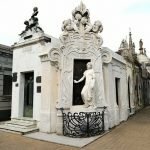 Palermo: Palermo is a must see area in Buenos Aires. Known for being one of the trendiest places in Buenos Aires you can go to endless eclectic restaurants, quirky fashion stores and in the evening you can hit the nightclub until the sun comes up. 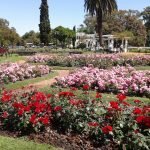 Also located in Palermo is Parque Tres de Febrero with its beautiful rose garden, planetarium and rowing lakes. Lastly, if you are an art lover you can see modern Latin American masterpieces at MALBA art museum. You can’t take in all of Palermo in one day so make sure to give yourself lots of time to check out this wonderful neighbourhood. 5. La Boca: Located near the Riachuelo River is La Boca. Caminito is a small alley flanked with brightly painted houses, steakhouses and street artists. The arena La Bombonera is home to the Boca Juniors soccer team. You can also check out the modern art museum Fundación Proa that has temporary exhibits and views of the old docks. 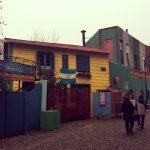 If you want to see a working-class area with a lot of history you need to visit La Boca. • Hierbabuena- A vegetarian lover’s dream.